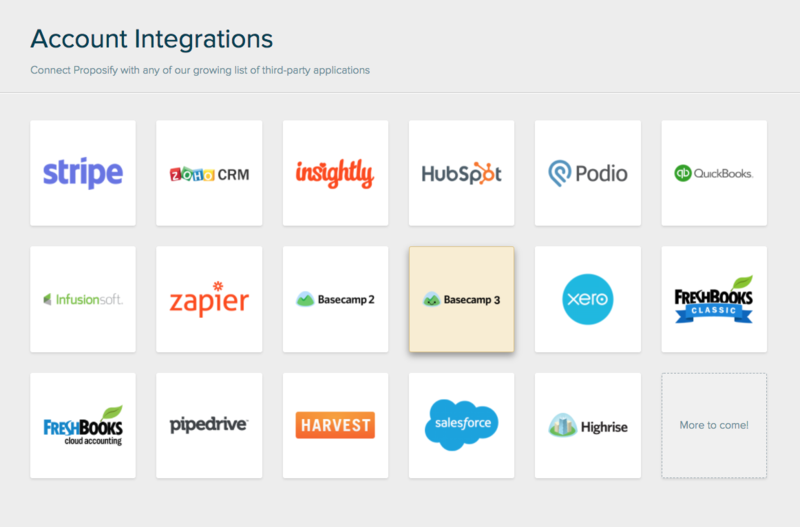 Click the login button and you'll visit Basecamp where you'll need to log in. 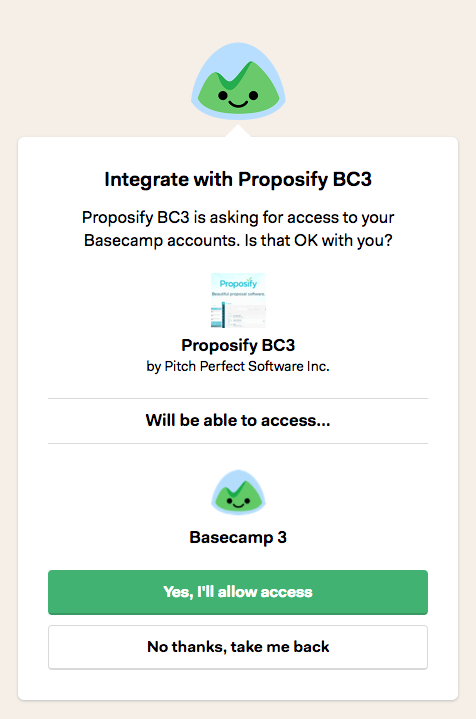 Afterwards it will ask if you'll allow Proposify to access your Basecamp account. Click "Yes, I'll allow access"
Once your account is integrated you'll be able to import contacts. 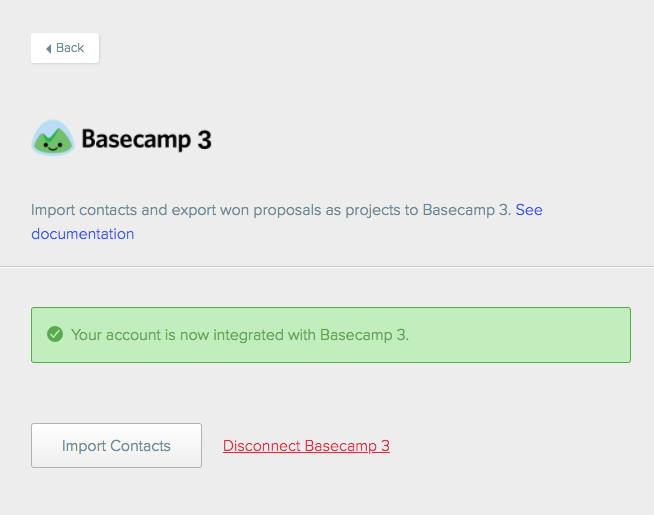 If you visit the snapshot of a proposal that's been won or accepted, you'll now see a link to "Manage Basecamp 3". 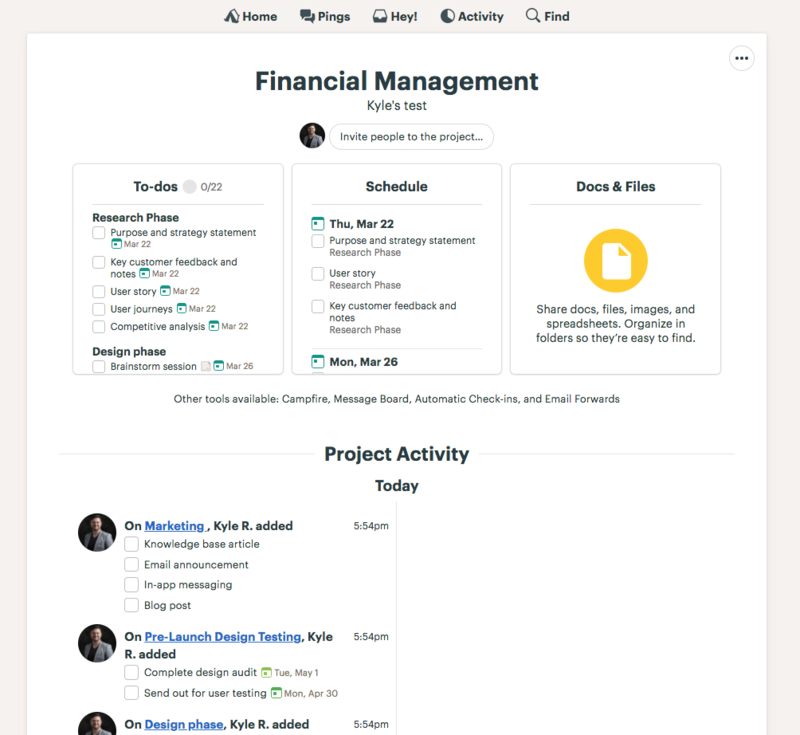 On this screen you'll be able to invite team mates and contacts to the project, select a Basecamp template and add any applicable notes. 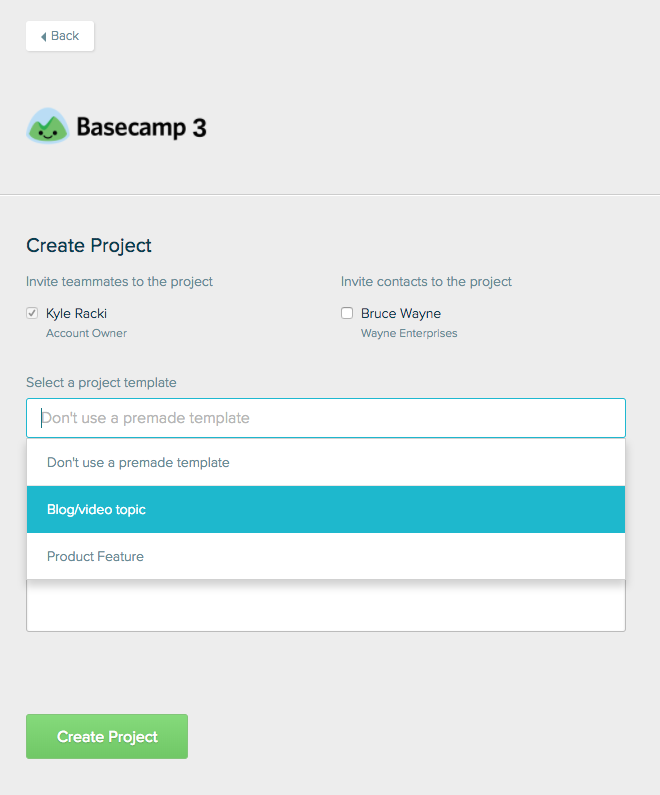 After you create the project there will be a link to view your new Basecamp project. 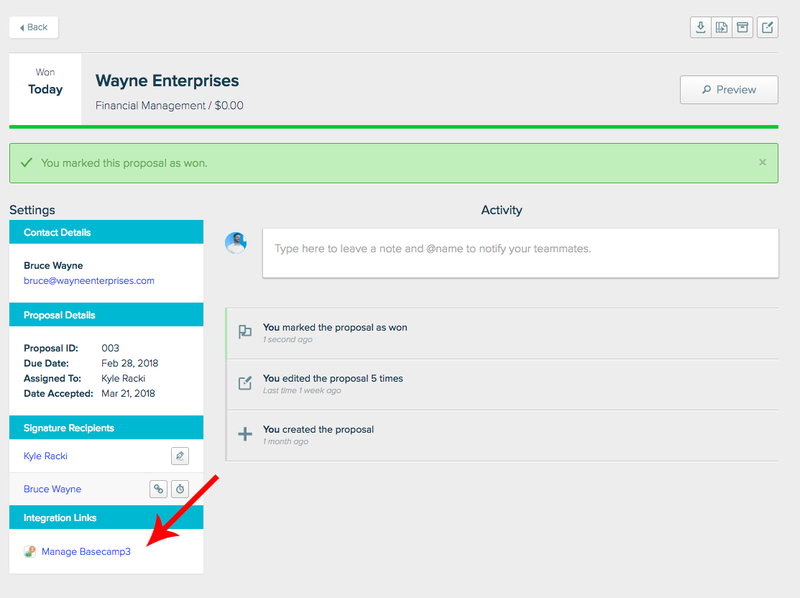 It will automatically pull the name of the proposal as your project name (which you can change in Basecamp), and your notes will be the project description.